This isn’t the first time the doors and windows of an empty storefront have been used for advertising, but we thought this one was particularly well done. 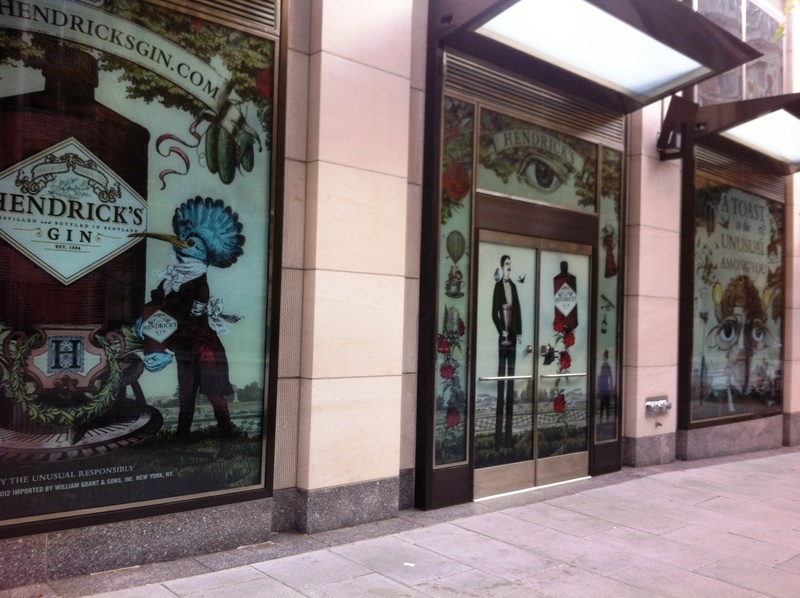 Hendrick’s Gin is the product being pushed at 1155 F Street NW (next door to Guess), and although the ads are just printed (no digital display or games as we’ve seen in the past), there is something festive and fun about the display. 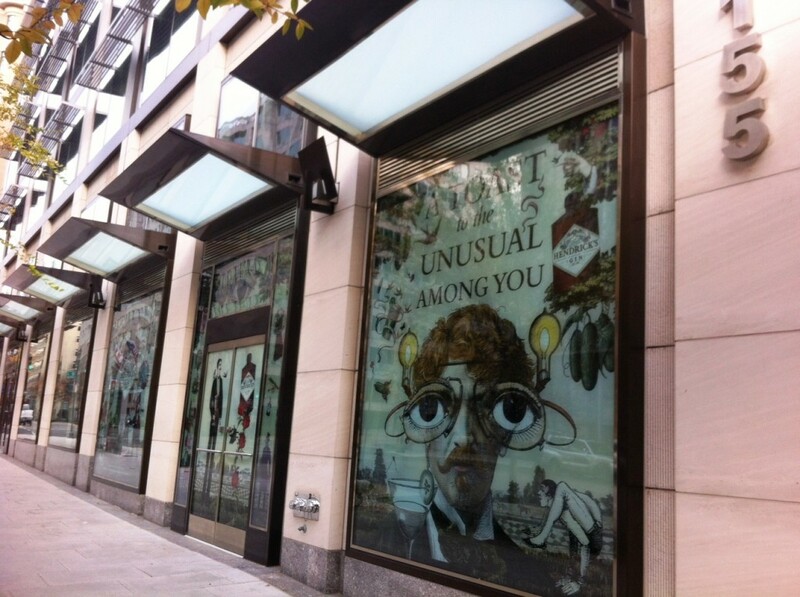 We hope that this holiday season a few of the other empty storefronts (we’re looking at you, former SoHo space) are able to secure some creative advertisers, if they can’t get new tenants.